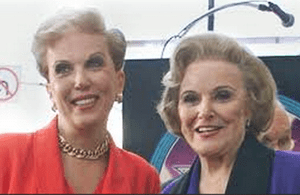 For those of you who don’t know Dear Abby is the name of the advice column founded in 1956 by Pauline Phillips under the pen name “Abigail Van Buren” and carried on today by her daughter, Jeanne Phillips, who now owns the legal rights to the pen name. Both Pauline and Jeanne have never shied away from letters with Gay content and have been helpful and staunch supporters of the gay community. Today “Dear Abby” gave advice to a college student who’s parents refuse to accept the fact that he is gay and points the boy to some helpful organizations. Abby: It is obvious that your parents are in denial. If you haven’t told them again about your sexual orientation, you should. If you are unable to summon up the words to tell them what they are waiting for isn’t going to happen, then contact PFLAG (Parents, Families and Friends of Lesbians and Gays — pflag.org), not only for your own sake, but also for theirs. In light of your parents’ reaction the last time you leveled with them, they may need emotional support to accept that you are gay, and PFLAG can provide it. If anyone needs it here is the link for PFLAG. They are here to help.